Courtesy of Michael Mara, M.D. 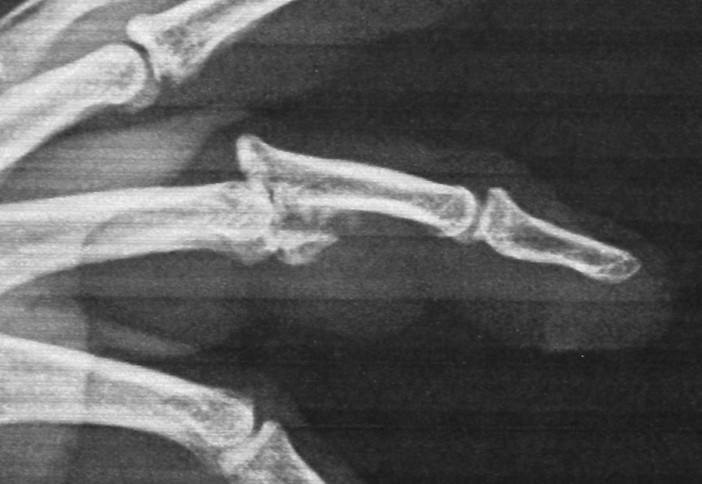 This patient is a 36 year old male with a fracture dislocation of his left middle finger PIP joint. 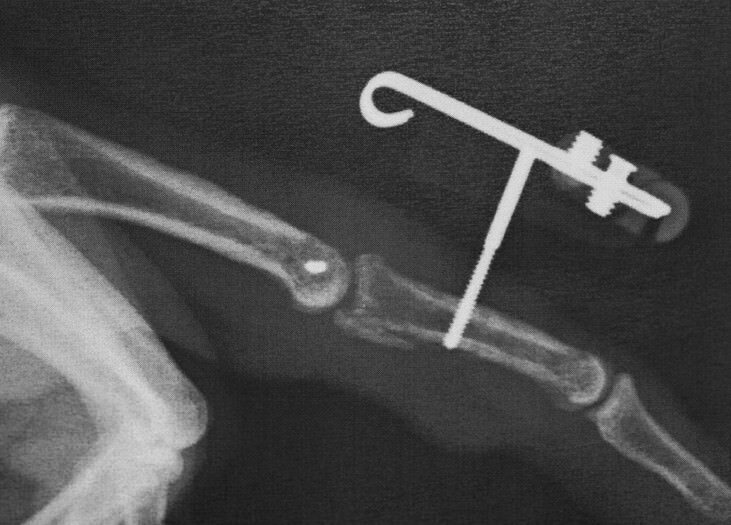 X-rays show a severely comminuted fracture involving >50% of the joint and extending distally almost to the mid-shaft of the middle phalanx. A TurnKey FCS was installed and the device was worn for 8 weeks. 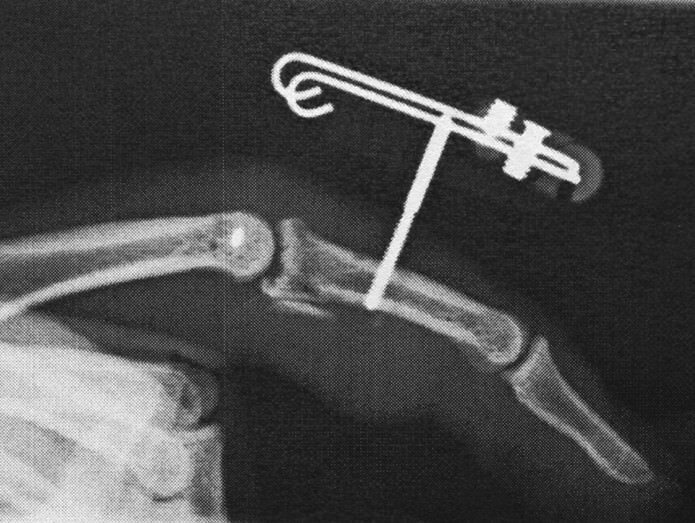 This view, taken at the time of device removal, shows a central impaction volar to the mid axis of the base of the middle phalanx. His active ROM with the device on was 0-62 degrees with very minimal swelling and no discomfort.